. 18th May, 2018 . Mobile money interoperability in Ghana started a few days ago and it is now more easy and seamless to send money across all networks. 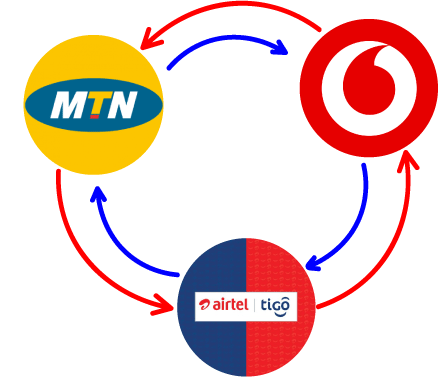 Mobile money interoperability allows you to transfer money between two mobile money accounts belonging to different mobile money operators or between a mobile money account and a bank account. Done. Money Sent. As seamless as possible. Don't miss any of our Tips and Giveaways, Sign up now!